JoshQ had the most liked content! Most of the problems I had making my own “impossible feet” for Sims 4 came from my workflow: modeling in metasequoia, exporting to blender 2.64 for UV mapping and then to 2.79 for normals fixing; the final step was exporting to milkshape to generate a .ms3d for S4CASTools. Yes it was a mess and generated a lot of problems and defects along the way, worked fine at the beginning but not anymore. An alternative was to stop using several programs in favor of Blender 2.8 beta which has a completely revamped interface that makes it a lot easier to use. So I started familiarizing with the modeling tools, reading and watching tutorials and doing some exercises. Long story short: Blender 2.8 rules and it has become my main tool. I still have some stuff to take care of before returning so hang on a bit more. Yep,I’m still not happy with the results but I also ran out of time, I won’t be able to do anything related to modding for a couple of months so if you don’t want to wait remember than anyone is free to modify my CC to their liking. I will delay the heels for Sims 4 one week, I need to refine the UV for the feet even more so stockings and alike look OK(ish). Someone tell the devil there’s a chance of snowing this week... After further review almost every pair of feet available for Sims 4 is too high-poly. I learned from my experience from Sims 3 that manipulating high detail meshes tends to stretch the UV map, making patterns and textures deformed at best. So I’m resurrecting one of my (many) abandoned projects, this was supposed to be the original “Impossible Feet” for Sims 3 before I left it, partially because my understanding of Blender was non-existent (and probably still is). So I extracted the feet from “Make Human” and started reducing polygons where isn’t needed (everywhere except for the toes) and left enough in areas that normally lack detail (like the arch). 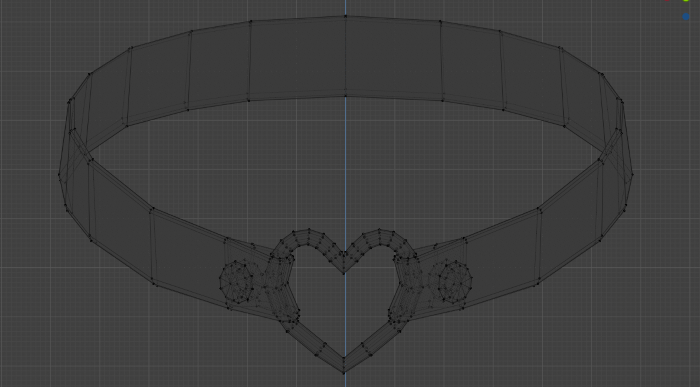 Also because Sims 4 UV map is cleaner than Sims 3 I believe I won’t have too many problems adapting to it. So in resume, I’ve more control of shape and UV compared to modifying someone else mesh, although if this blows on my face like many other attempts before I’m probably going to choose Hiroki’s feet. This is the last step before releasing my first pair of Impossible Heels for Sims 4. See you (hopefully) next saturday. Another pair of “3d boots” incoming for Sims 3, this one gave me equal headaches as the last one but I think it will be compatible with both the default body and MedBod. 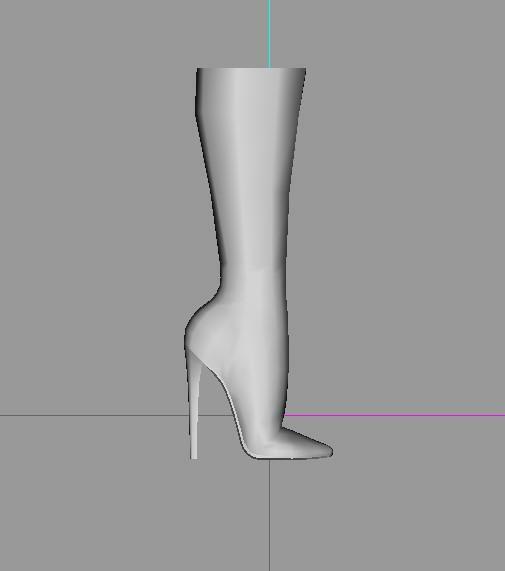 Converting any pair of ‘Impossible Heels’ to Sims 4 is... possible (pun intended) because I can mix my workflow (Metasequoia for creating the shoes, Blender to fix UV/normals and Milkshape for the final touch) with Cmar’s S4CASTools. As a matter of fact you could only use Milkshape to: separate shoes and feet from a .geom or .wso scale the shoes to adapt them to S4’s new feet rearrange the UV map use S4CasTools for bone assignment As usual I’m oversimplifying the whole process but If you’re familiar with the aforementioned tools, plus use Redheadsims shoes slider and don’t want to wait for me you could already make the conversion yourself, the only missing piece is the feet. I already adapted Sims 4 feet to the “Impossible Feet” shape, but I’m not 100% convinced and of course it won’t look right when using sandals or any other type or open shoes, the options are making a more detailed feet or modify someone elses, so that’s what I’m going to concentrate next. After testing both S4Studio and S4CASTools I decided to stick with the latter, S4Studio isn’t bad and as a matter of fact my first two releases for Sims 4 were made on it (and will continue to use it for texture accessories), unfortunately for me it relies heavily on Blender for anything related to meshing. On the other hand S4CASTools uses Milkshape a program I’m familiar with to the point making my first “Revealing Edits” for Sims 4 was quicker that I initially thought.